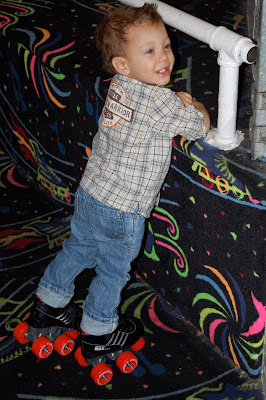 If you're looking for a party with no clean-up, little hassle, and great value, go to Skate City. It was a lot of fun. I can't believe my baby is two. Happy Birthday Tucker! I was just wondering if there's a roller rink in town! Love him! I wish we could have been there!